Even today many sectors still work with 1D barcodes. Datalogic presents a further development of the conventional laser scanner with the linear imager QuickScan QBT2131. It quickly captures all common 1D barcodes and is particularly reliable because it does not feature any moving parts. The QBT2131 offers both a wider scan line as well as a broader scanning angle. 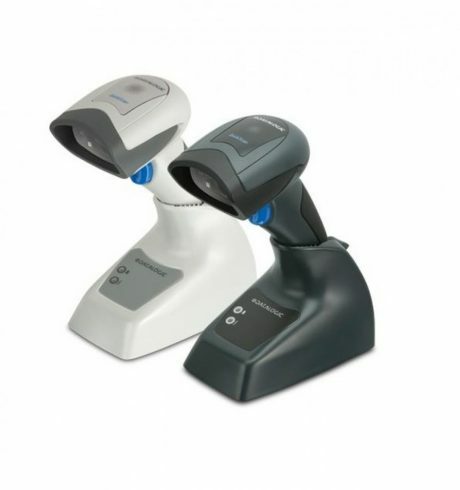 This simplifies handling and scanning of longer barcodes, because the scanning distance does not increase. With Bluetooth transmission users freely move about within a range of up to 25 m from the base station. In case the scanner loses its connection to the station it simply saves approximately 500 barcodes beyond its range. Thanks to Bluetooth HID the scanner also supports connections with devices using Android and iOS operating systems. The 1,400 mAh battery may be directly recharged in the scanner via a micro-USB cable, thus ensuring for uninterrupted further usage. For integration you have KBW/IBM/RS-232 and USB interfaces available.